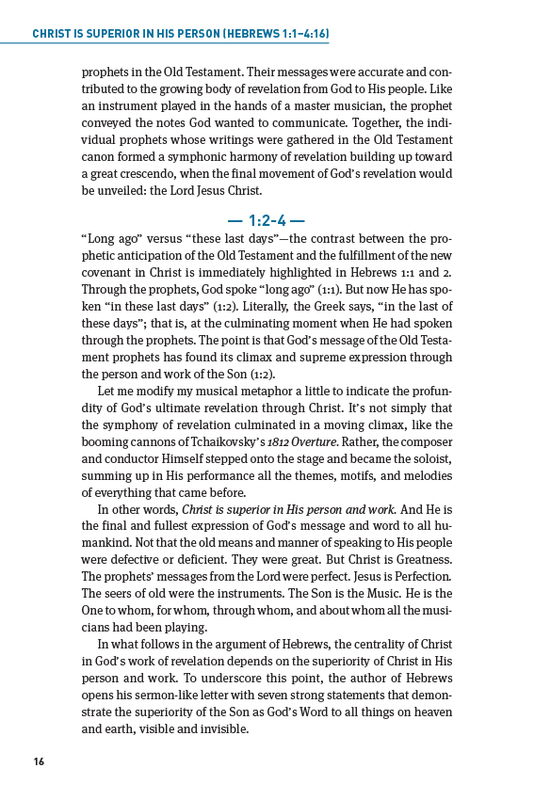 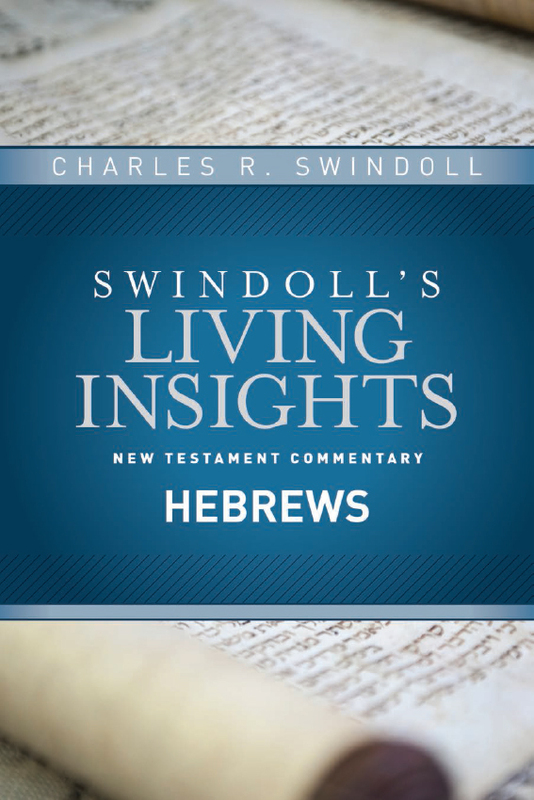 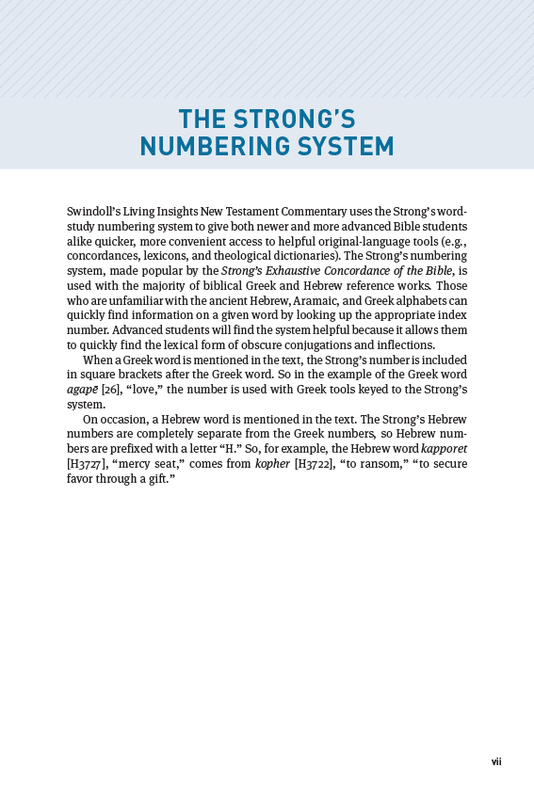 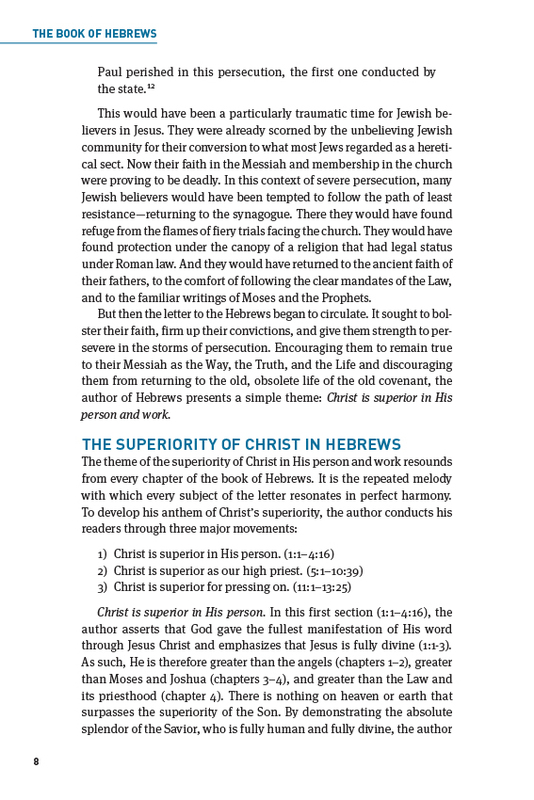 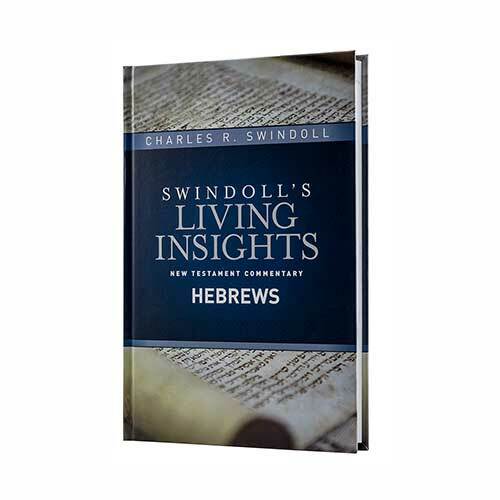 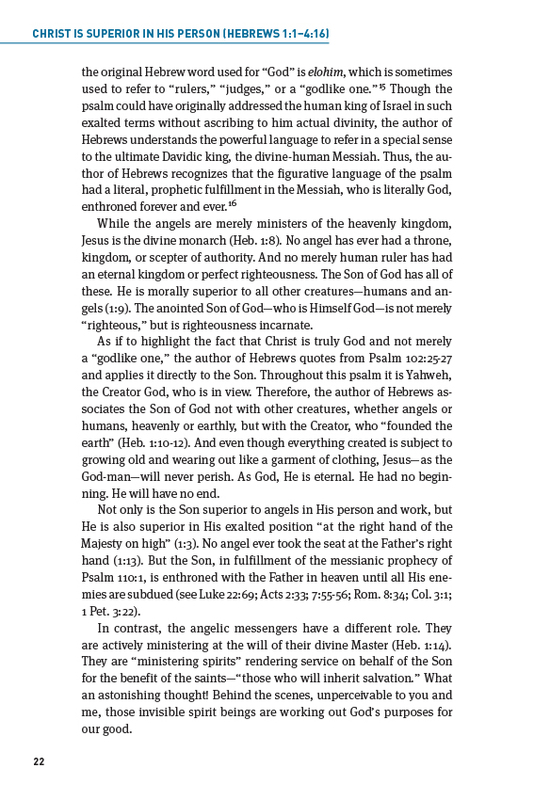 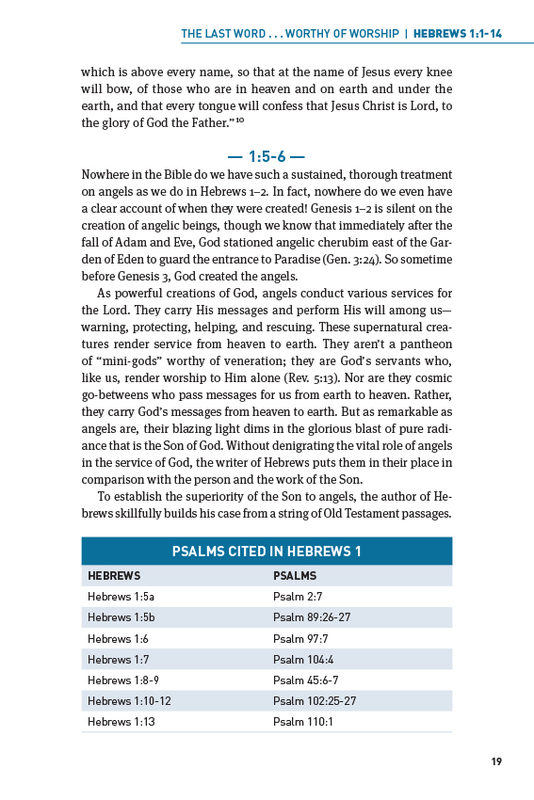 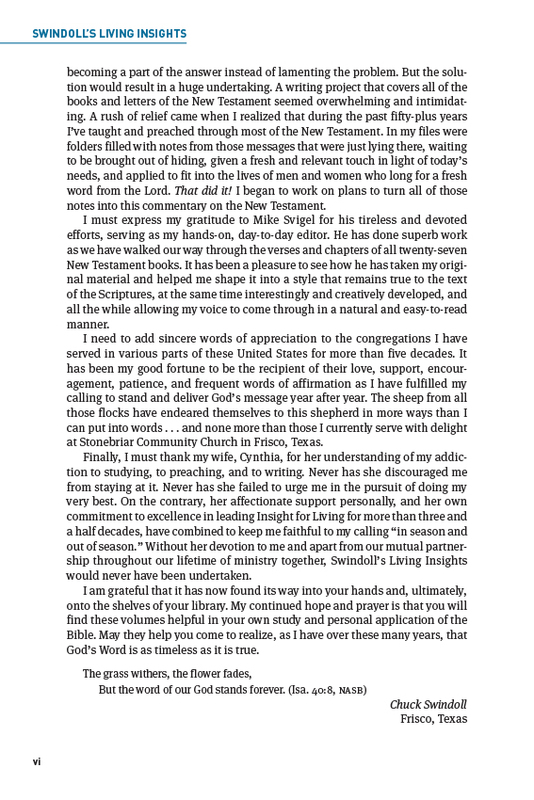 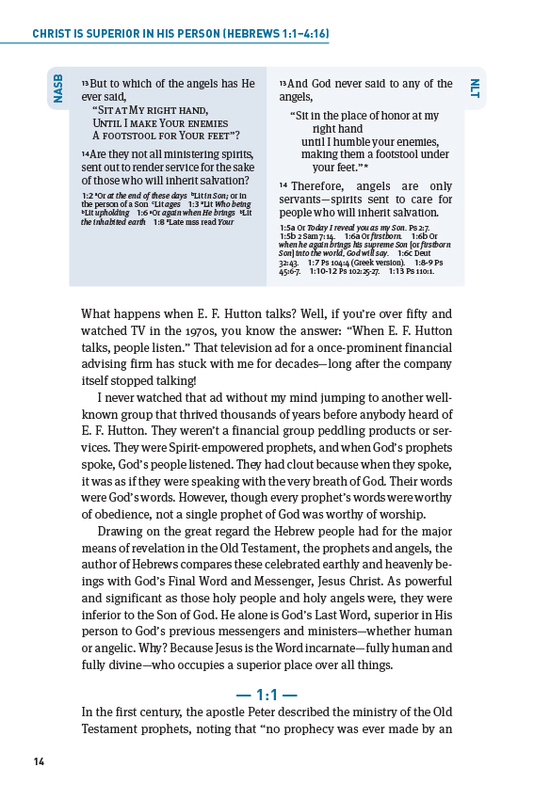 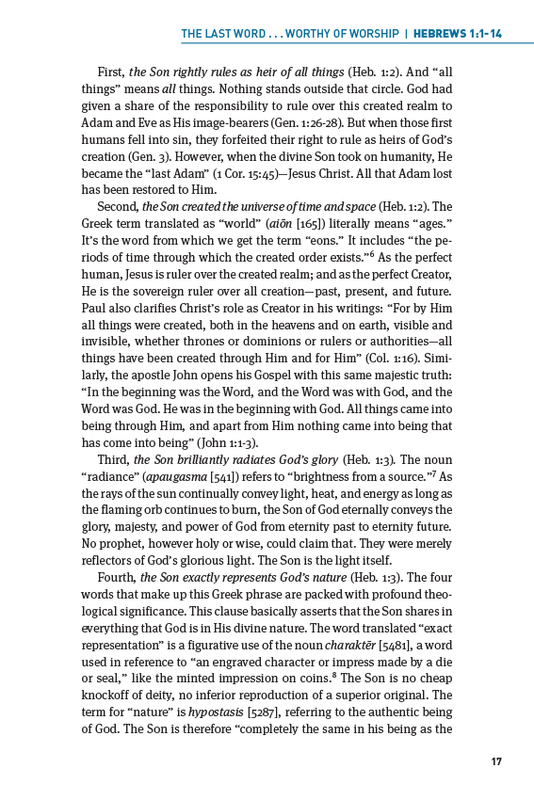 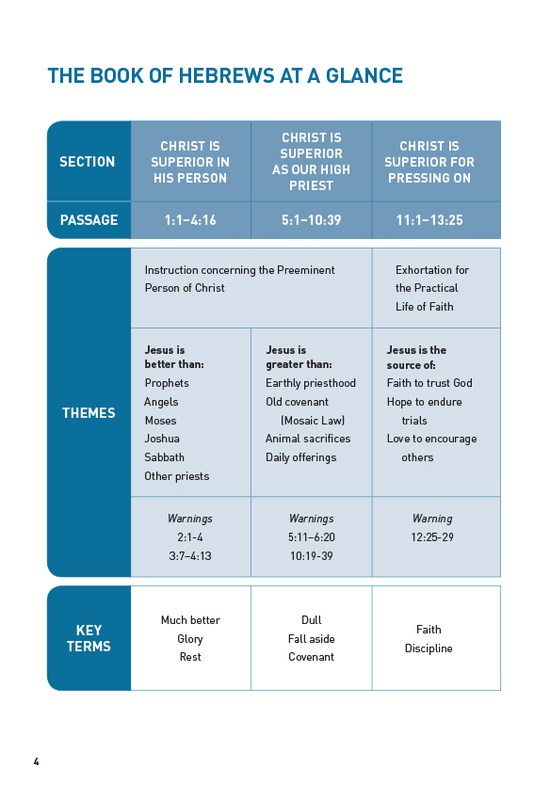 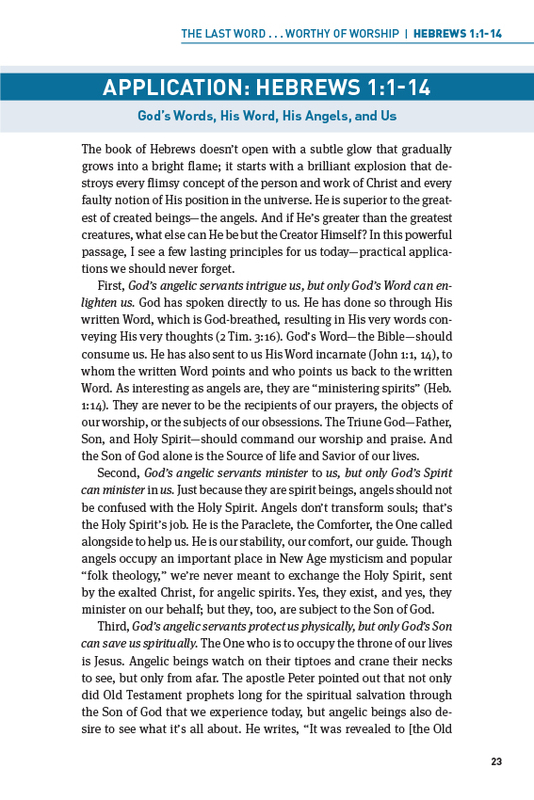 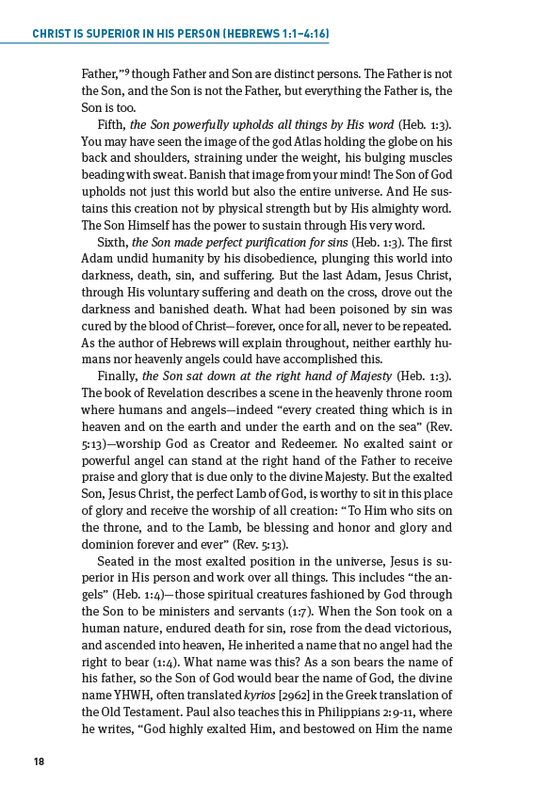 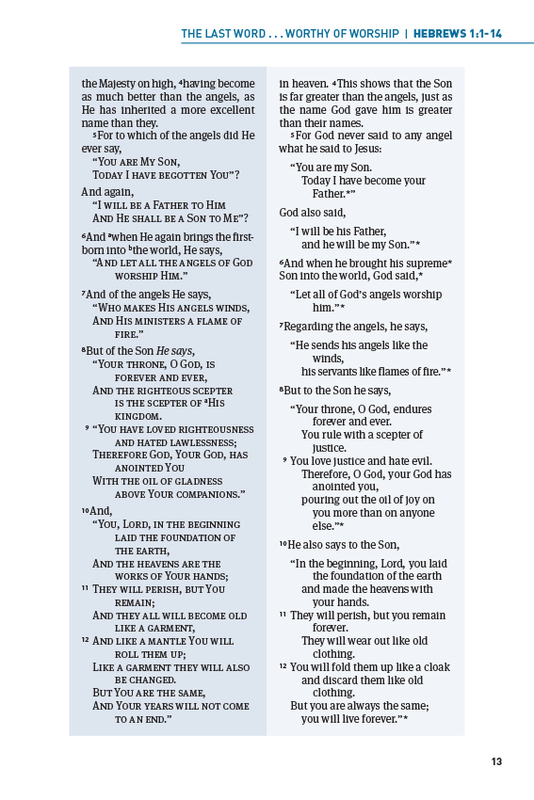 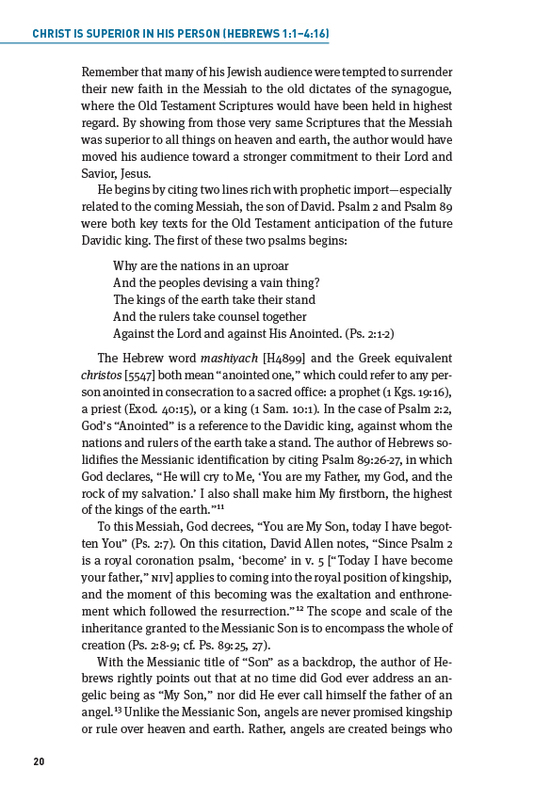 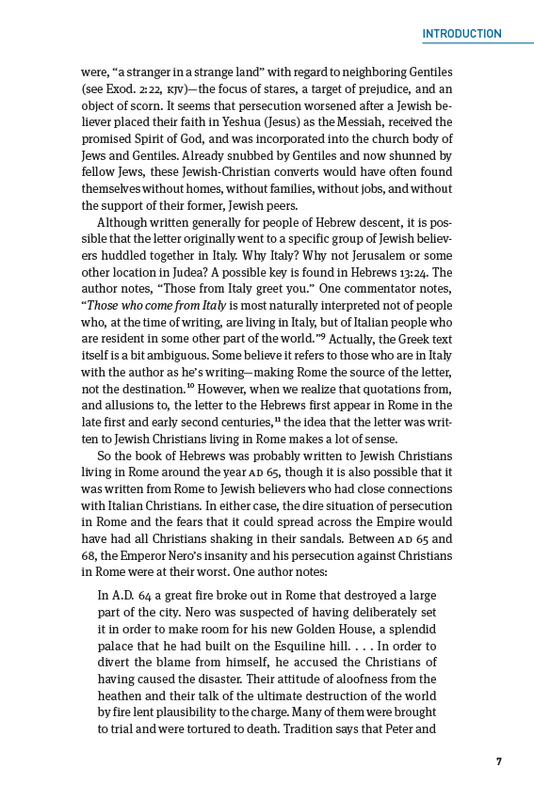 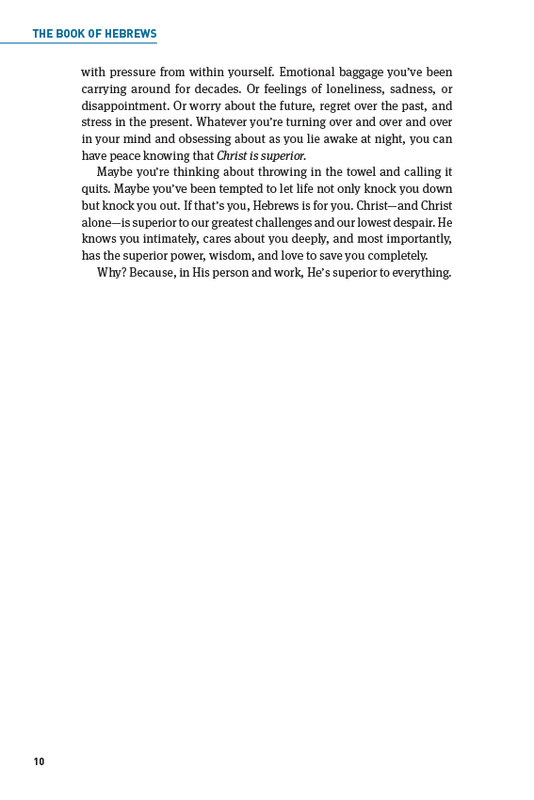 Swindoll's Living Insights New Testament Commentary: Hebrews is rich in Jewish history, eloquent in style, and filled with vibrant allusions to the Old Testament priestly system and tabernacle. 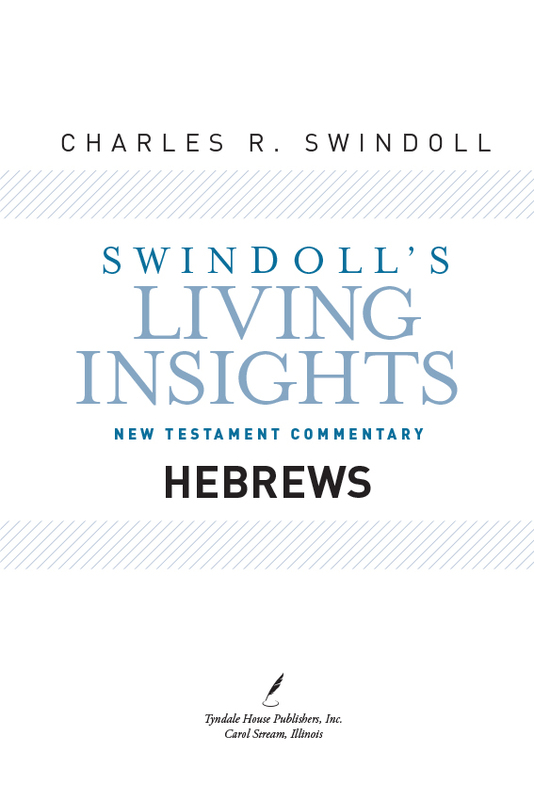 This volume bids us to a deeper study, and for those who accept the challenge the investment yields rich and rewarding benefits. 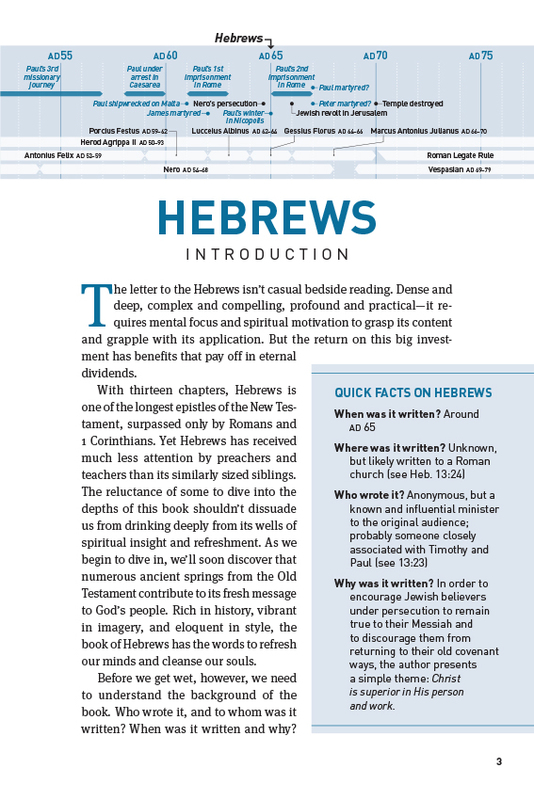 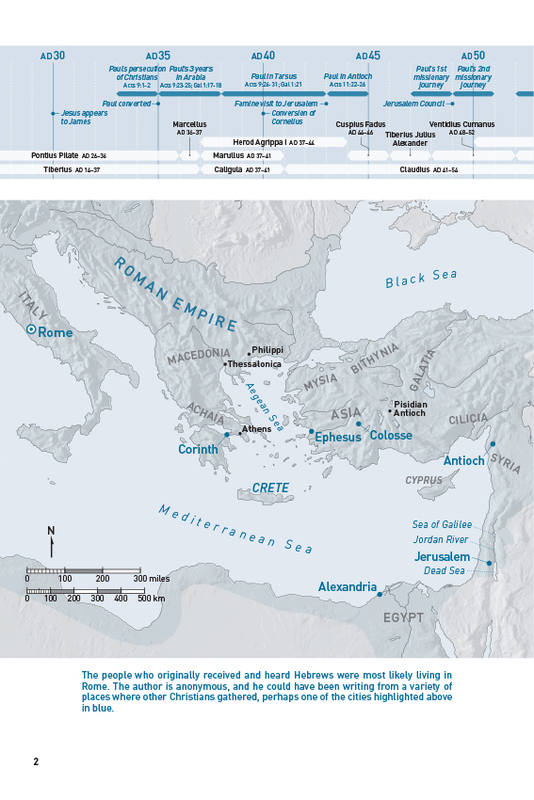 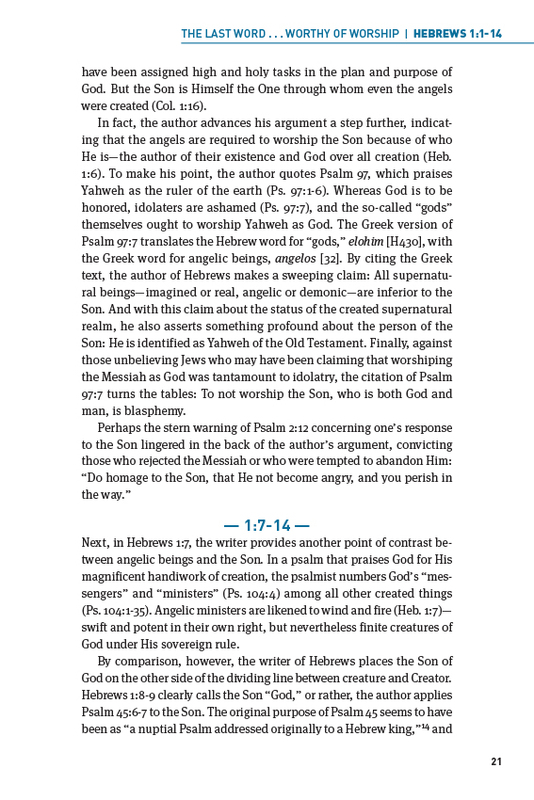 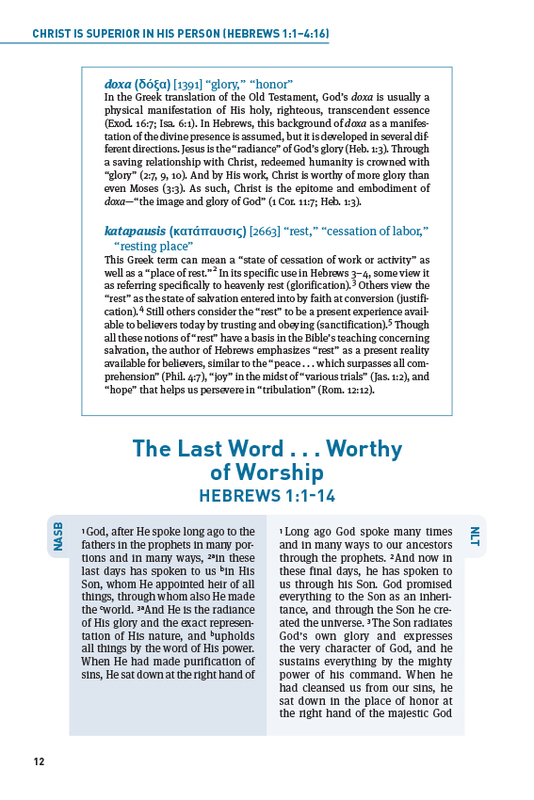 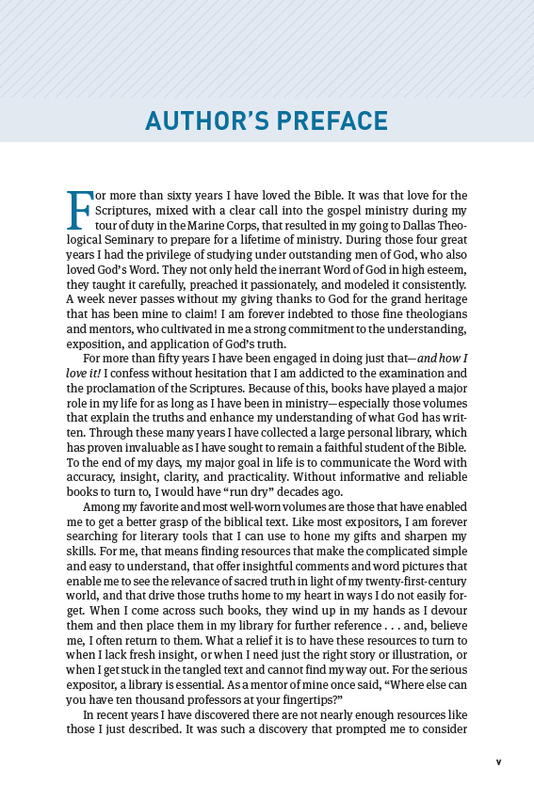 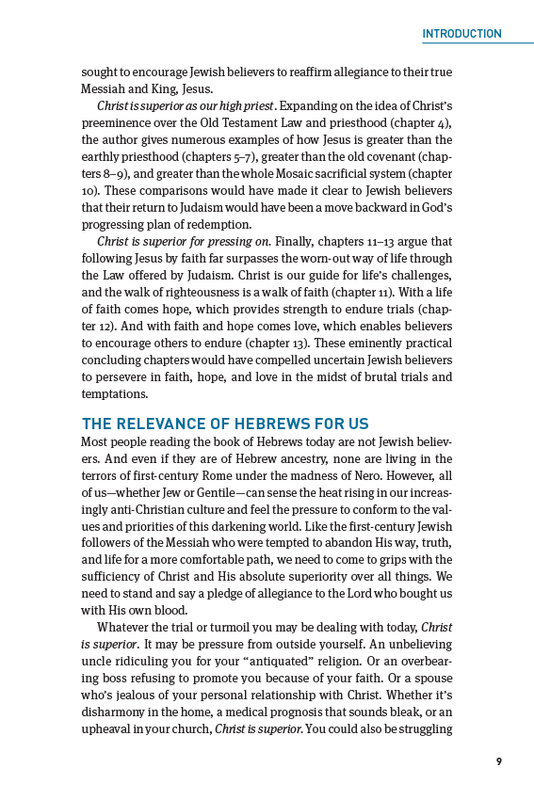 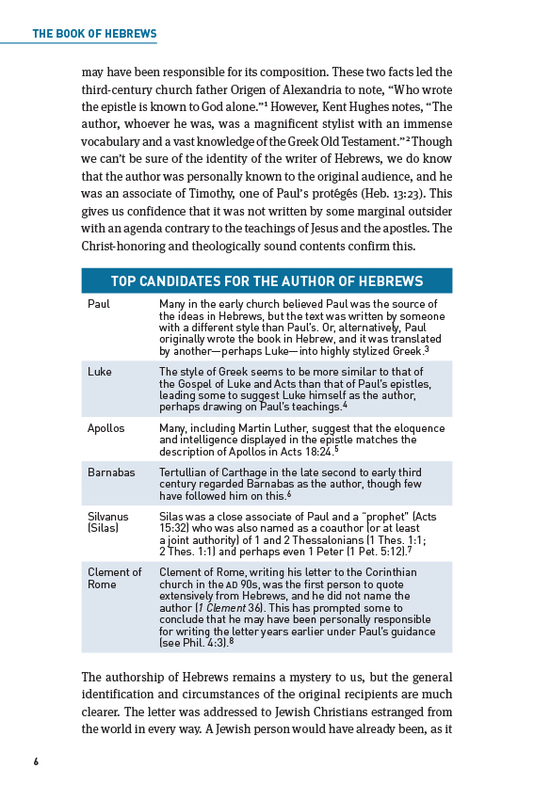 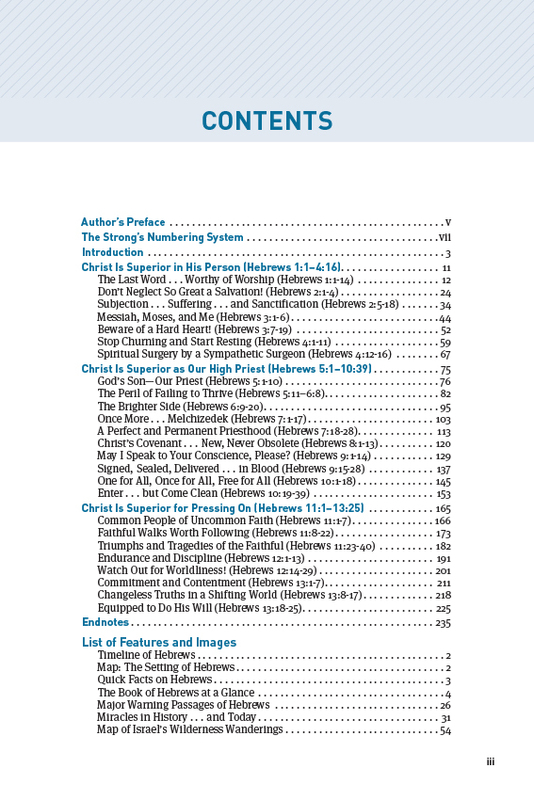 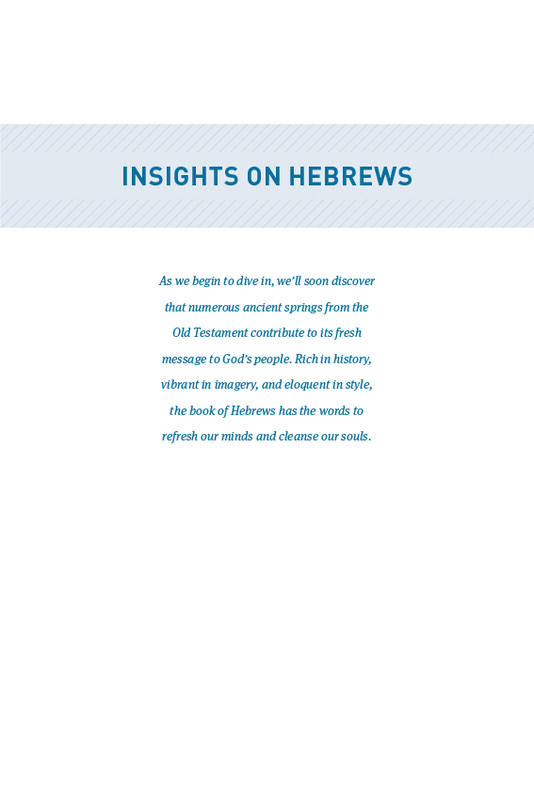 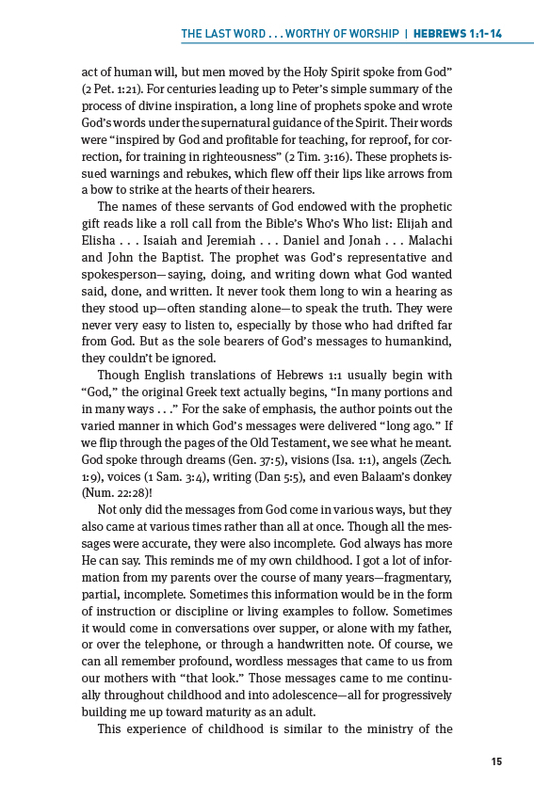 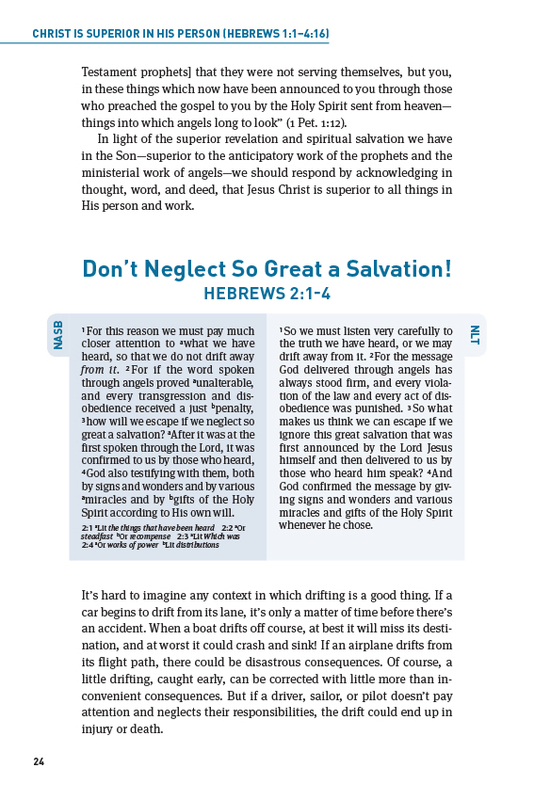 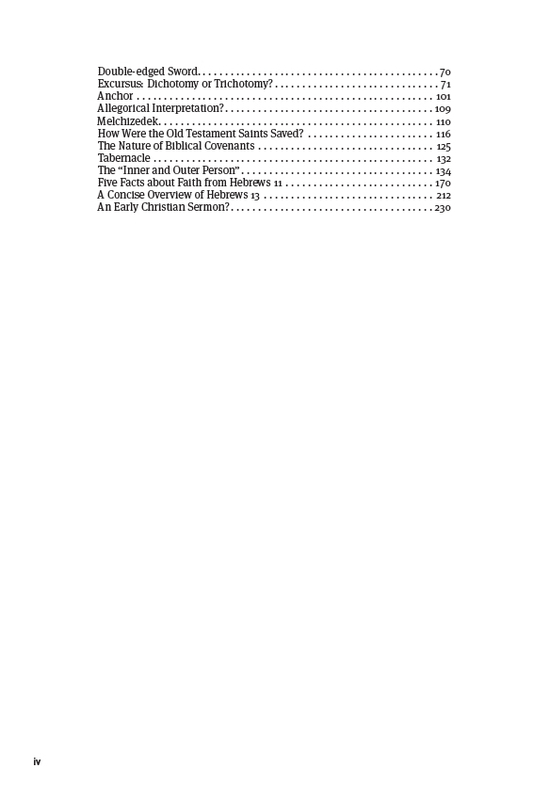 Insights on Hebrews combines verse-by-verse commentary, charts, maps, photos, key terms, and background articles with practical application. 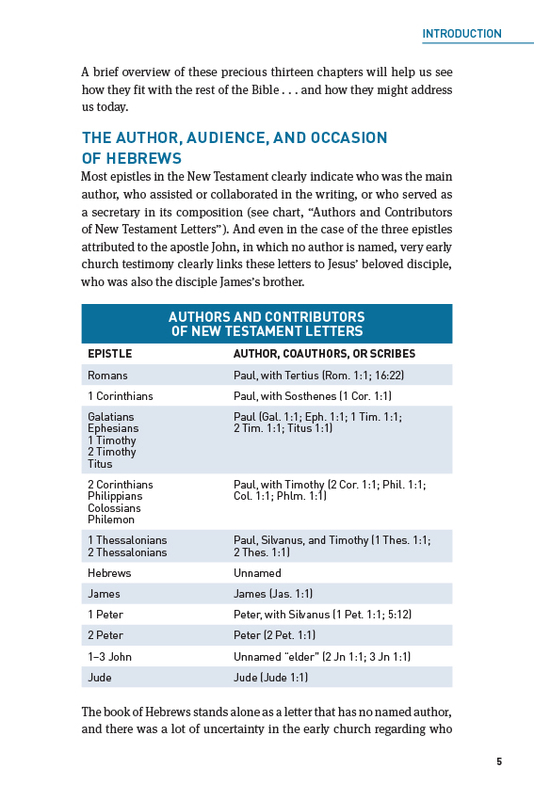 It also includes parallel presentations of the NLT and NASB before each section. 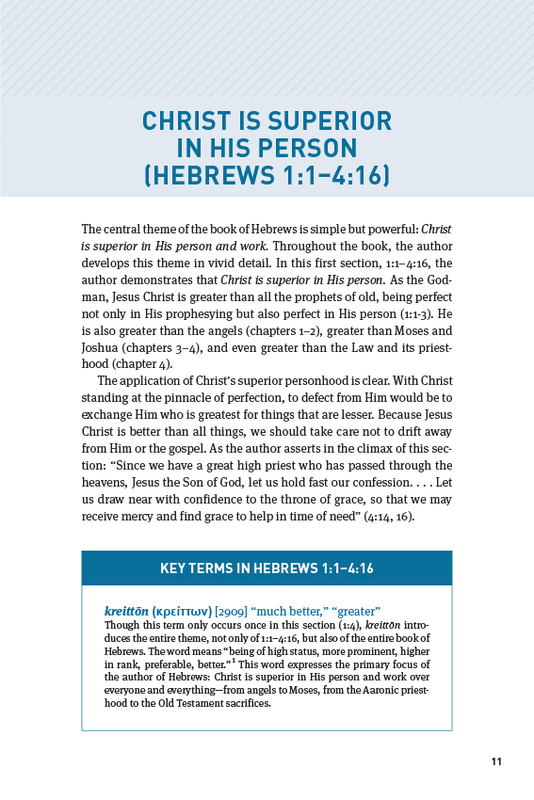 This volume is a must-have for pastors, teachers, and anyone else who is seeking a deeply practical resource for exploring God's Word.